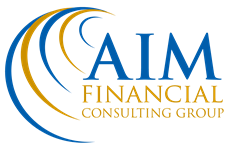 At AIM Financial Consulting Group, we believe in planning first. Dan Foster, AIF®, CFP®, the founder of AIM has over 33 years of experience serving the planning and investing needs of clients. Whether it is through financial planning or retirement planning, our commitment is to develop custom solutions based on our full understanding of each client's needs. We are not a typical financial services firm. Clients choose us because we are personally committed to helping them reach their goals and protect their wealth by providing solutions that quite simply, just make sense.